A new report has declared Asia the most lucrative market for apps. Forty-one percent of December’s app sales across Apple’s App Store and Google Play came from Asia, according to Distimo. Another 31 percent came from North America and 23 percent from Europe. “The Asian app store market is a train that can’t be stopped,” begins the report from Distimo, an apps analytics platform and researcher. App revenues increased by 162 percent in Asia from December 2012 to December 2013, compared to a 46 percent year-over-year growth rate in North America. 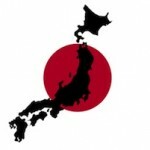 Japan leads the Asian market in app purchases followed by South Korea and China, the report found. It also noted that “freemium,” or free apps, is the general model in Asia. Instead, most of the revenue is generated through in-app purchases.Downloads in Asia were about split evenly across Apple and Google stores, compared to the three-quarters that come from the App Store in North America, the report noted. Angry Birds Go had the distinction of being the most downloaded app across Asia in December 2013.